Mercy Endeavors provides opportunities for active adults 60+ years of age. 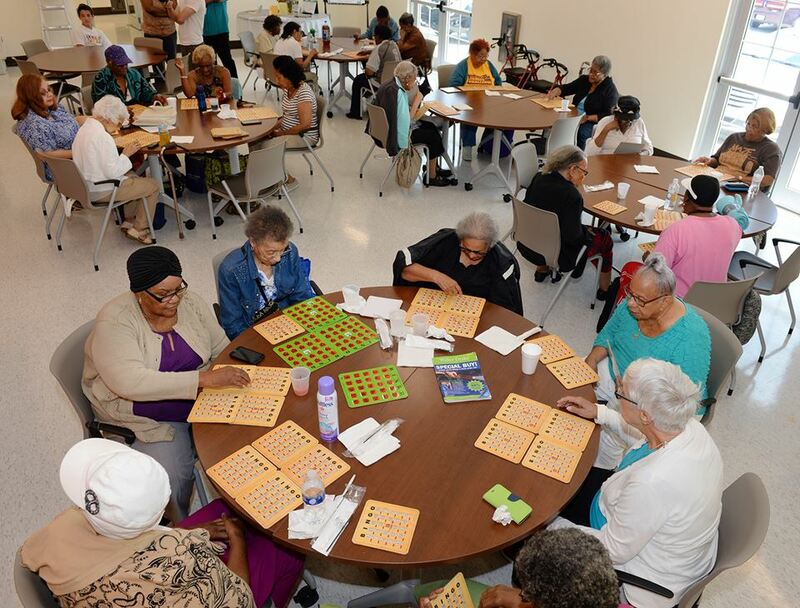 Seniors participate in various games, religious studies, crafts, sewing, exercise programs, dancing, yoga, Tai Chi, rides on the Natchez, educational and health presentations, computer literacy training, spiritual enrichment, special events and celebrations, and much more. Presentations on various educational and enrichment topics by local agencies and educational institutions are provided to the seniors two or three times each month. Seniors also enjoy educational opportunities and cultural enrichment through filed trips to various locations including museums, theaters, and parks. 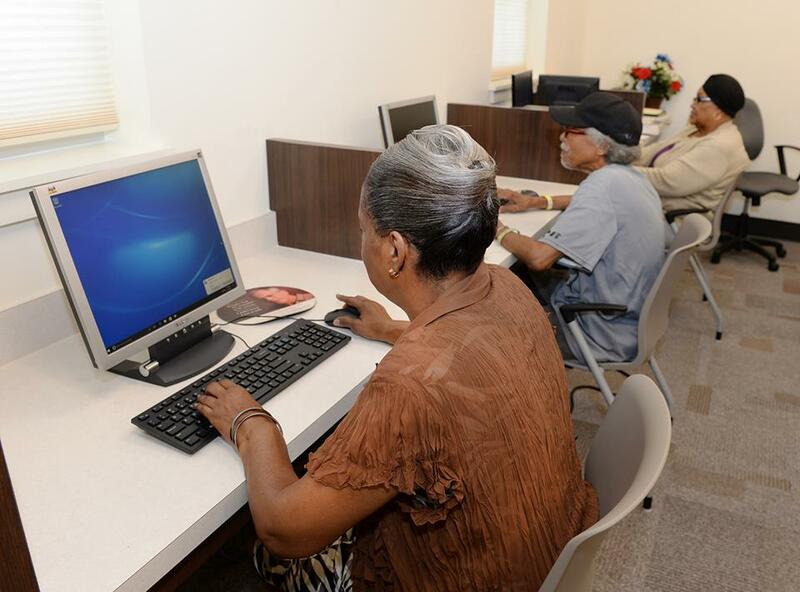 Seniors also utilize the center computer lab, which provides opportunities for seniors to maintain their motor skills through use of graphics to create projects, play a variety of intellectually stimulating games and master use of the Microsoft Office Suite. There is a strong recreational component at the center. Senior participants are active and every effort is made to provide opportunities which maintain healthy level of activities. Each year seniors participate in a myriad of events including but not limited to a Mardi Gras Parade with St. Alphonsus school children, an annual Mardi Gras Ball, a Senior Fest Competition in coordination with other centers through the Council on Aging, a Memorial Day barbeque, an Independence Day celebration, a Hawaiian Luau, a week-long anniversary party, a Thanksgiving retreat and dinner, a holiday gift exchange, a Christmas luncheon and a New Year’s celebration. Picnics are scheduled three times a year for the seniors to experience the outdoors. Birthday parties are a big part of the activities at the center and are celebrated with a monthly birthday party for all seniors who enjoy birthdays during a particular month. Crafters also begin work in early fall to create items for the Annual Senior Showcase fundraiser that supports program expenses and is usually held the first Friday of December. Twice a year seniors spearhead efforts at additional program fundraising in the form of a fish fry, spaghetti dinner, red beans and rice supper or the like. Exercise is a significant part of the program. Exercise strengthens seniors and assists them in maintaining longer, healthier, lives. Seniors have participated in band exercise, walking clubs, yoga, and Zumba classes. A variety of daily exercise starts the seniors’ day at the center. 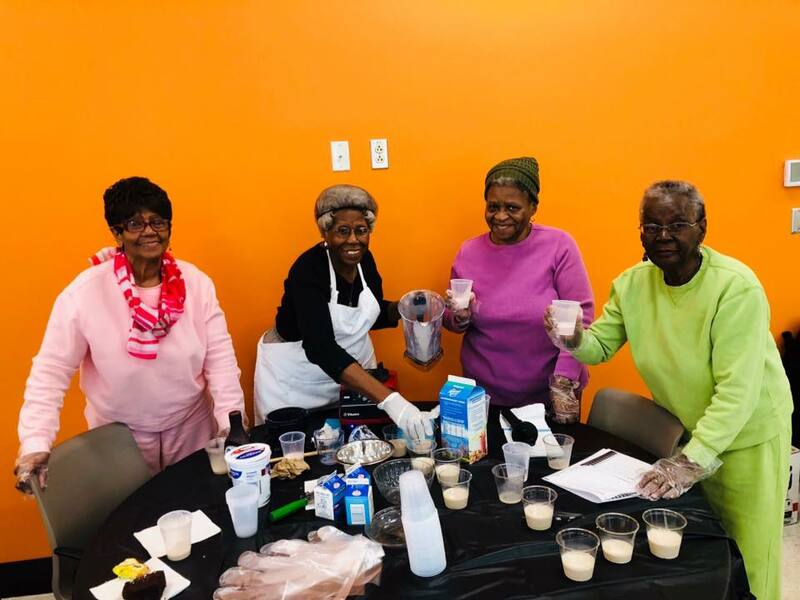 As part of the wellness program, seniors participate in a monthly Jazzin’ with Juice, a program in which seniors learn about healthy eating and they make smoothies which include a variety of fruits and vegetables. As part of this program, they make salads, soups, and a variety of dips. 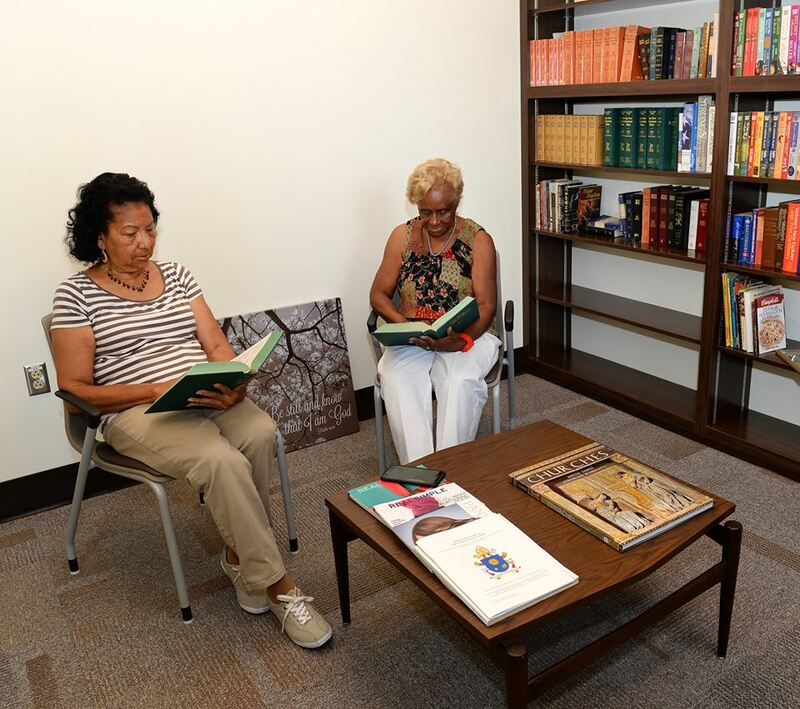 Weekly spiritual studies are provided by a senior volunteer. Two retreats are scheduled each year. The seniors share songs, testimonies, and hidden talents through the use of music. Ministers in the area are invited to share and give words of encouragement for wholeness of life. Volunteers also facilitate programs that assist seniors with meditation, prayer and reflection. A monthly Gospel Fest is scheduled, which allows seniors to share their stories and talents. Seniors participate in and enjoy hearing solos, choirs, trios, professional musicians, poems, scripture readings, plays and reflections. Referrals of seniors and others that come to the door are made to appropriate agencies in the neighborhood and throughout the city. A case manager completes assessments and makes referrals, as needed. Some of the resources available include assistance with utility bills, obtaining birth certificates and Social Security cards, as well as resolving housing issues. 35-40 seniors enjoy a healthy breakfast each morning, which is provided by the center, as well as 40 hot lunches provided by NOCOA five days each week. Bags of groceries are distributed twice a month from Second Harvest.